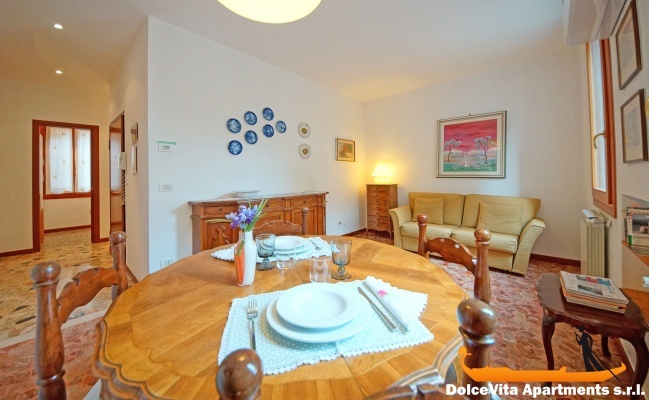 Apartment N. 80: It can accommodate up to 9 people, it is rented from 295 € per Night (not per person). 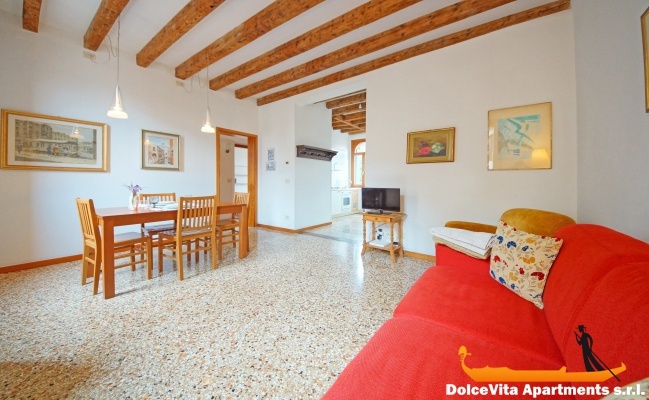 This venue with 2 apartments can accommodate up to 9 people, in total there are 4 bedrooms, 2 bathrooms and 2 kitchens. 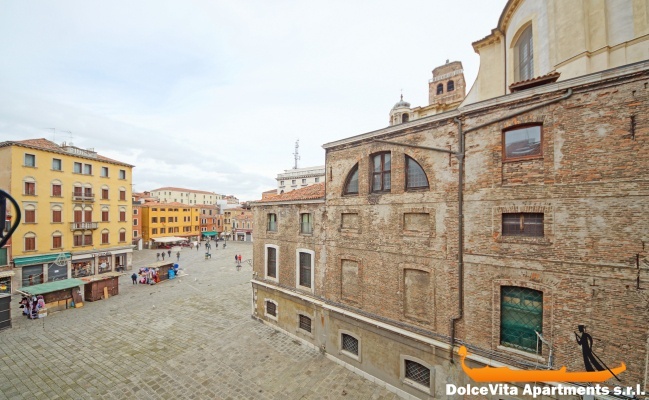 These bright apartments completely overlook Campo San Geremia, lively and characteristic area in the Cannaregio district. 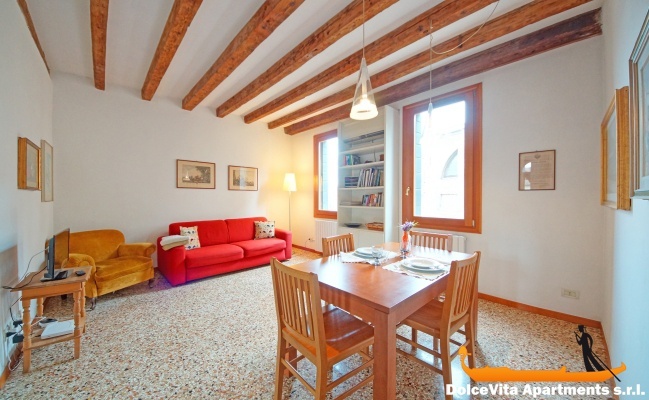 They have been recently renovated and furnished with care and attention. Another feature you will appreciate of these apartments is their extreme closeness to all the main stops of the various lines of water-bus that will allow you to easily visit the city. In addition, arriving by train, you should not even cross a bridge! We rented two apartments in the same building, and we were very pleased with this nice and well located accommodation. Perfect , it corresponds to the description and friendly welcome. Serious service and no problem. The apartment is magnificent. Its a score 5, and your service another 5. The apartment decorated with style and an in an unbeatable location. 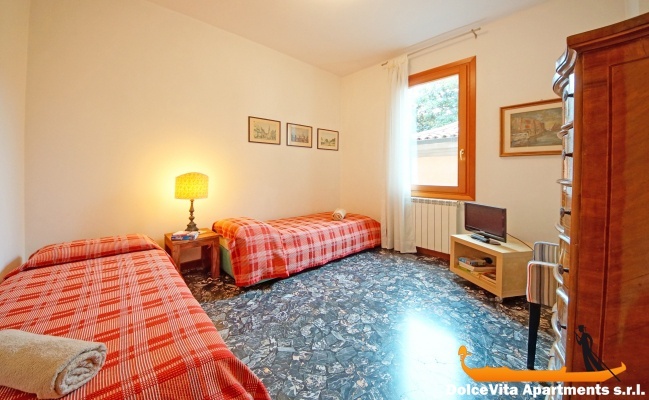 We are delighted to have stayed in this quiet apartment, bright and very well heated. The location is ideal, well placed, 5 minutes walk from the station and in a lively and dynamic neighborhood. We were 5 and the apartment is spacious, the sofa is very easy to use (no need to remake the bed every night). Every day, fishermen sell their fish to 200 m, very convenient. 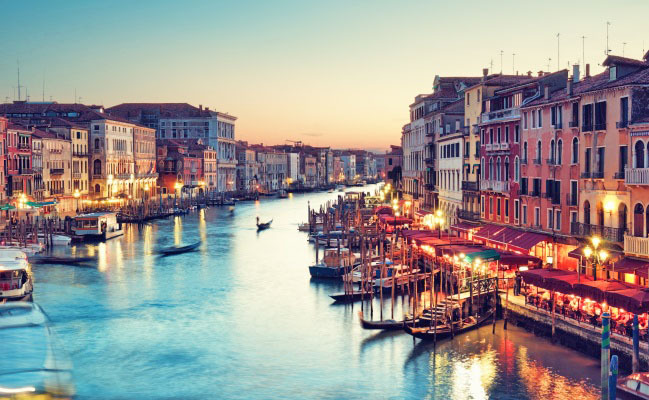 The Fenice is easily accessible on foot and overall, we did everything on foot, including to go to St Mark's Square, it is very nice to take the little bridges and see all the specific points walking. 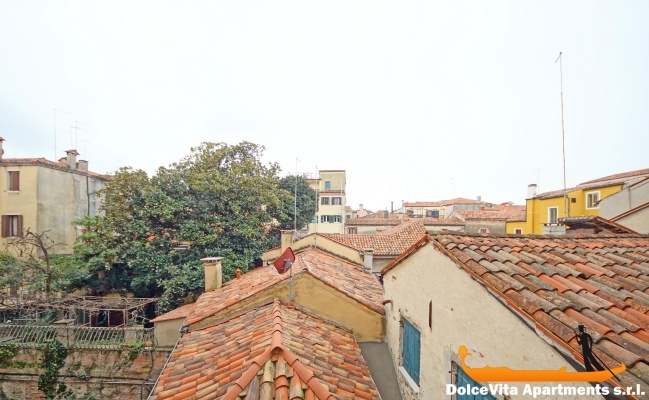 We will reply about the apartment N.23 in Venice where we had a great stay. The apartment is conveniently located on arrival and of easy access. Any nuisance, spacious, bright, clean and very nice. We attribute the rating 5. Regarding your service, we are also satisfied and we will not hesitate to recommend your address and this apartment. 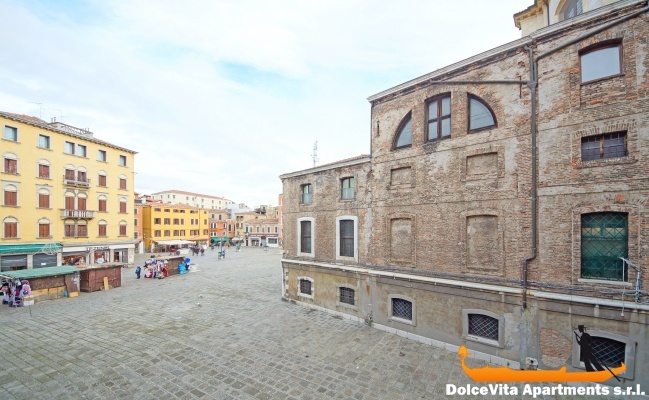 Apartment very well located in a nice shopping area, close to all means of transport. The apartment is bright and comfortable. The owner was there when we arrived which is appreciable. Address to recommend. 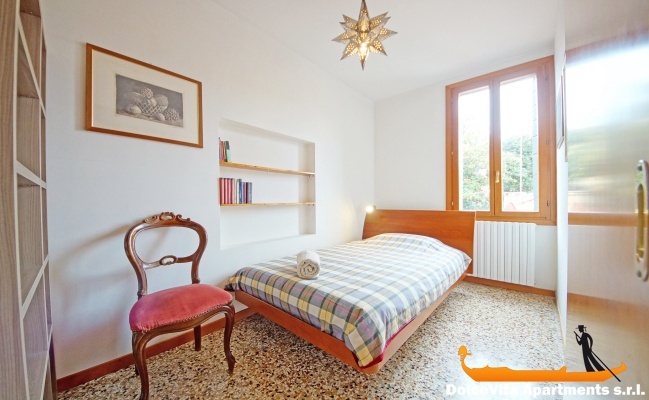 The apartment is very spacious, bright, comfortable and warm (for colder months). 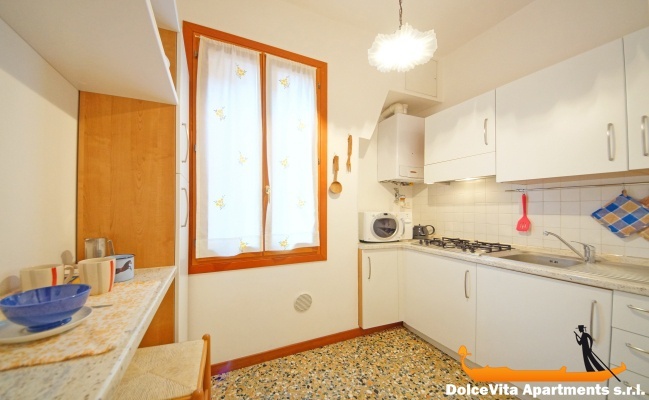 Excellent position, close to the train station and very close to the boat stop. Also very nice owner who welcomed us despite our advance, not planned. No small defect! Everything perfect. Highly recommended. Apartment 23 is in a prime location just steps from the station, and for those with hand luggage is ideal. 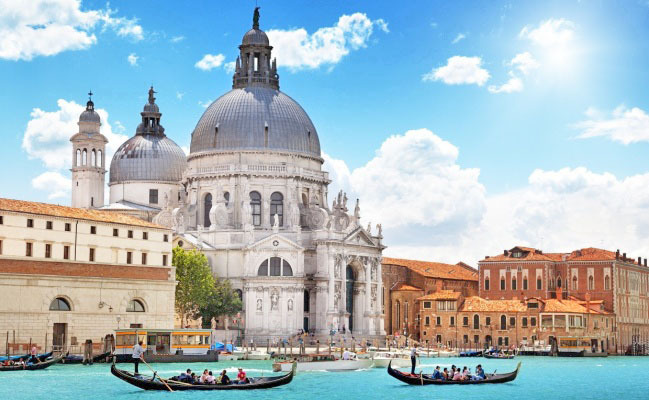 The area is centrally located with easy access to the 'vaporetto'. However,it should review the number of pots which is not enough for a family. 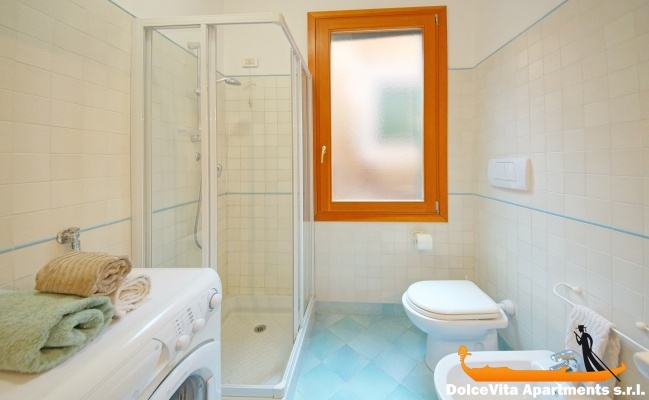 For the appointment with the owner: it would be better to specify the place: iin front of the outer door of the apartment or in the apartment? We waited in vain before calling Mr. Alexander, who was already in the apartment. The apartment is ideally located. 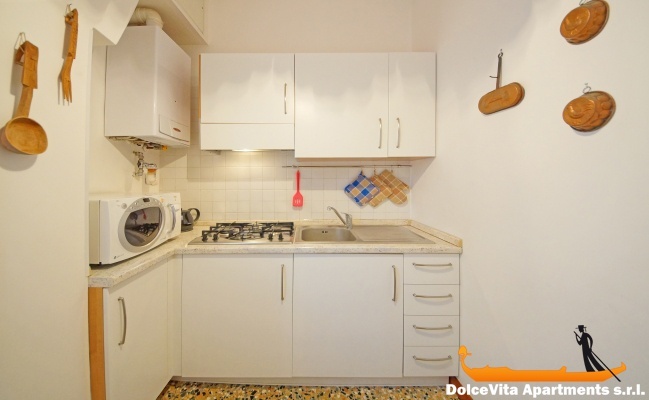 5 minutes walk from Piazzale Roma and from the railway station. 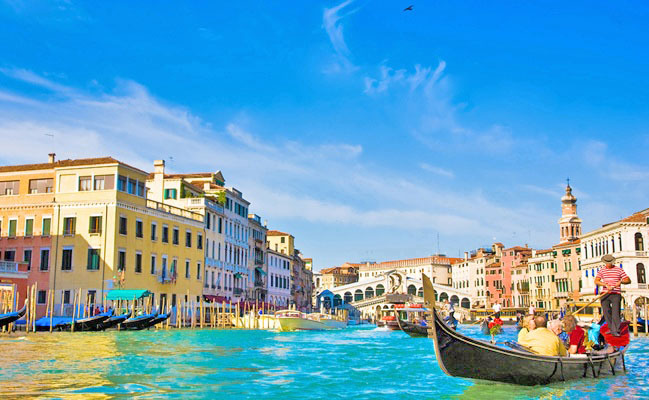 It is close to vaporetto stop and shops. Welcoming is friendly. This apartment is cozy and well equipped. The only criticism is that there was not enough hot water for 5 showers. So we have organized for not taking a shower all at the same time! We keep the web address for the next stay. 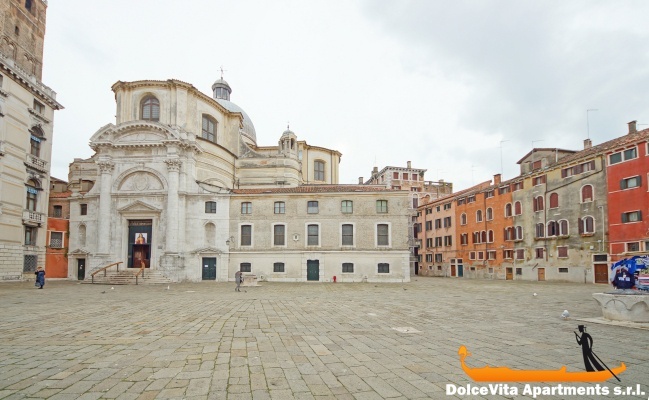 Apartment located in the heart of Venice, easy to reach by walking, very comfortable, clean, in good condition with air conditioning, 5 beds very comfortable, with all necessary facilities for a pleasant stay. The owners are friendly and helpful. Affordable price. We will definitely return. The apartment was even better than in the photos but had too many stairs to climb with luggage; it has a good situation. Very well located, very nice apartment, clean. Good welcome of the owner, we will return with pleasure. 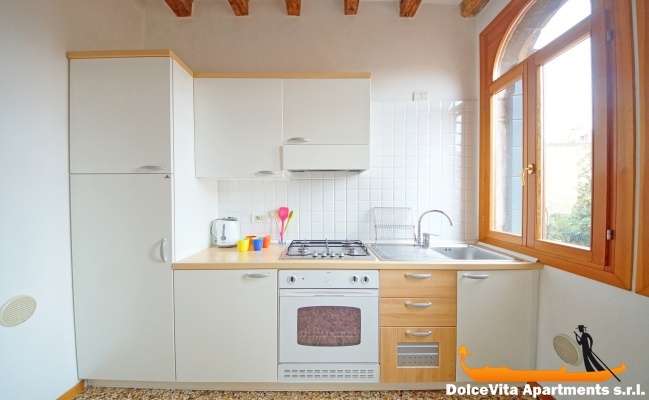 The vote for the apartment n.22 San Geremia is certainly 5 ... a nice clean, warm and welcoming apartment, as kind, helpful and hospitable was the person who welcomed us. Thank you very much for the hospitality and comfort! The apartment is excellent having everything what we usually need. It is very clean and comfortable, locating in the central part of the city It was not difficult to go any place we wanted. The apartment is well located, clean and practical... we spent a good holiday thanks to this apartment. Apartment well located, quiet, close to the station, worked appliances, except the kettle (which does not work) and the hairdryer (blocked on cold). Comfortable and quiet, well located close the station.